Trees and watering holes are sporadically spread out over the landscape of the Klondike Gold Rush in the Yukon Territory. This area became a National Historic Site and hundreds of tourists come to Dawson City to explore the uniqueness of the landscape. 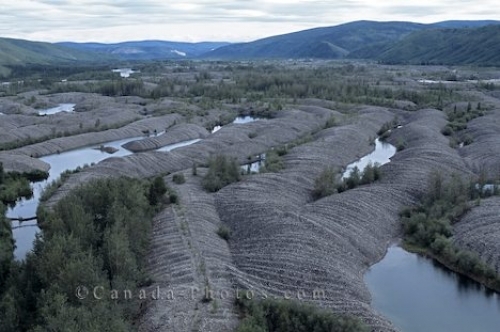 Picture of the interesting landscape that makes up the National Historic Site of the Klondike Gold Rush in the Yukon.